Having planned military reunions for more than thirty years there is a core list of cities where every Air Force reunion convenes at some point in time: Seattle with the Museum of Flight; Dayton and the National Museum of the USAF; Colorado Springs and the AF Academy; and San Antonio – home to Joint Base San Antonio (Randolph, Lackland, Sam Houston). Hardly a year passes when we don’t have multiple reunions booked in each city. But just because a city attracts reunions doesn’t mean all hotels there are reunion-friendly. That’s where AFR comes in handy – steering groups to trusted, reunion-friendly hotels. We use these hotels over and over, year-in and year-out, gaining special concessions for groups they cannot get on their own. In today’s seller’s market it helps to have a professional planner on your side at the negotiating table. Hotels value AFR’s partnership as we have booked with many through good and bad business cycles for decades. If you represent a group that has sought to visit Seattle before,then you know reunions don’t normally book downtown – but rather by the airport in Seattle Southside. Seattle Southside is our Top Reunion Destination this month. Feel free to email or call me if your group is interested in visiting the great Northwest. The reunion season is now in full swing. 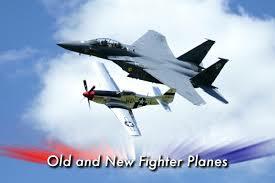 A few very successful reunions planned thus far by AFR: Golden Eagles in Orlando, A-6 Intruders and USS Hancock in San Diego, the 401st Bomb Group in San Antonio and many more. Happening this very week is the Marine Corps Aviation Association’s annual symposium in New Bern, NC. AFR has long planned this event, which is the annual platform for the USMC to recognize superior achievements by individuals and squadrons in service. All top level defense contractors are represented and exhibit their latest wares. It’s quite a logistical achievement! This month our Featured Veteran is Danny Russell, a recipient of the Distinguished Flying Cross, Purple Heart, and the Air Medal. Danny’s story from Vietnam is one that all generations should hear about. He was among those in Air Force Intelligence stationed at Misawa AFB in Japan. AFR is proud to plan the annual reunions for the Misawa Project and welcome the group to Mobile next month. Danny – we salute you for your service and sacrifices! Seattle Southside Regional Tourism Authority welcomes our heroes of the armed forces! Seattle Southside is an ideal location for a unique reunion, with the perfect blend of military attractions and close-by natural wonders. With easy access to downtown Seattle, plenty of nearby restaurants, and hotel rates typically 20-30% less than downtown Seattle, Seattle Southside is the perfect home base to explore the Pacific Northwest. Many historic bases, military museums, and aircraft collections chronicle the region’s history of defense. In addition, Seattle’s non-military attractions will captivate your reunion attendees. 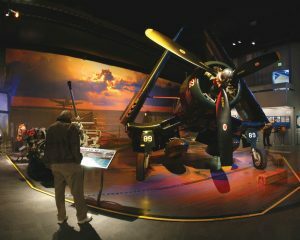 Seattle Southside is home to the Museum of Flight, which chronicles the early Boeing story and features historic military and commercial aircraft, including the Personal Courage Wing with stories and artifacts from WWI and WWII. Westfield Southcenter, the largest indoor shopping center in the Pacific Northwest, is home to shops, restaurants and entertainment options to keep even the pickiest attendee content. Situated on the Puget Sound, Seattle Southside is not too far from Mount Rainier, Snoqualmie Falls and the San Juan Islands for incredible daytrip opportunities. Seattle Southside Regional Tourism Authority’s services include itinerary planning, complimentary area guides and maps, and request for proposal coordination for transportation and attractions. Shot down twice in the same day, Danny Russell years later remains determined to keep the memories alive of those who didn’t make it. A recipient of the Distinguished Flying Cross, Purple Heart and Air Medal, Russell has shared his harrowing story and Vietnam experiences with nationwide audiences for over two decades. He doesn’t want anyone to forget the more than 58,000 names on the Vietnam Veterans Memorial Wall. 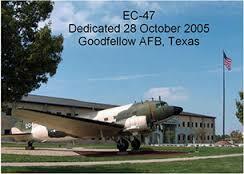 If it hadn’t been for him and other crews serving on the EC-47, there would have been more. Russel returned to the states, working in the banking and lumber industries before retiring in 2002 from MetLife Insurance Company. Though plagued by degenerative arthritis from war injuries, throughout his career and to this day he has been a vigilant advocate for honoring the sacrifice in Vietnam. While much about the EC-47 missions remains secret, Russell shares what he can about the plane, his fateful day and the war by giving speeches and talks at recruiting stations, military bases, Boy Scout meetings and a broad array of other venues – addressing more than 48,000 people over the years. In 2005, along with 12 other veterans, he returned to Vietnam as an ambassador of the VFW for the 30th anniversary of the war’s end. He is a member of the Vietnam Association, the Prop Wash Gang and the Misawa Family Reunion Association, whose reunions are managed by Armed Forces Reunions, Inc. He also has retained a strong link to the EC-47, a.k.a. the gooney bird, helping create a wall of dedication to the aircraft and its place in history at Goodfellow Air Force Base in San Angelo, Texas. “At the bars on base I’d put on my flight suit with no rank on it and had to deny I knew anything about the curious plane behind the hanger. There was a lot speculation. I told everyone I was a load master supplying the C-130s. Gooney bird was the plane’s nickname because they were slow and took a lot of time to get off the ground; unflattering I think for an aircraft so important we couldn’t even talk about it,” Russell said.